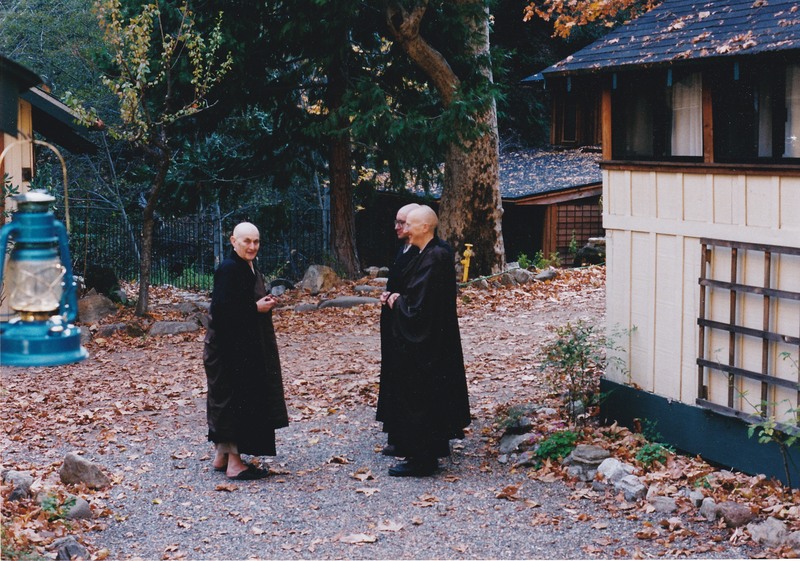 Every morning at Tassajara when we left the zendo after breakfast, Blanche would stand to review the day with the Tanto and the Shuso. 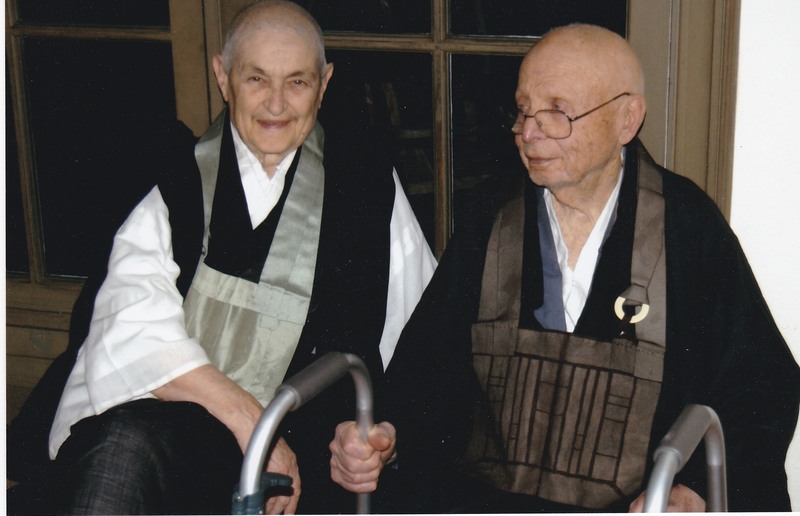 The sight was an indelible part of Tassajara life. 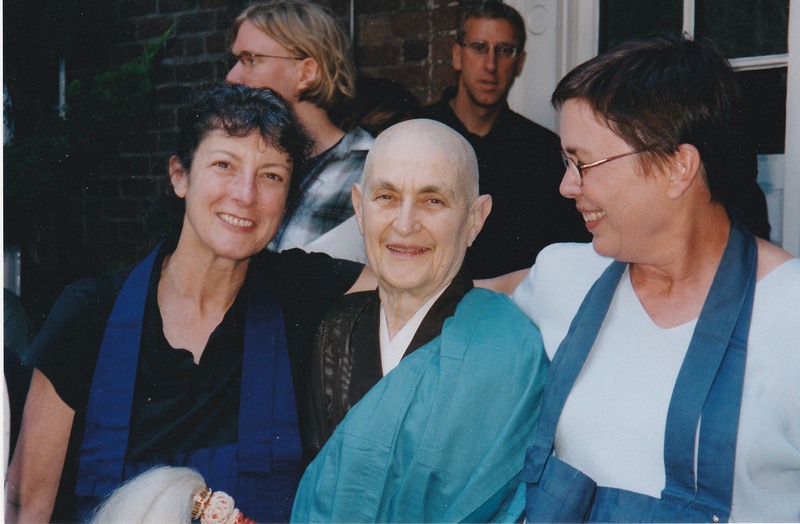 Here she is with Maiya Wender and Ingen Breen. 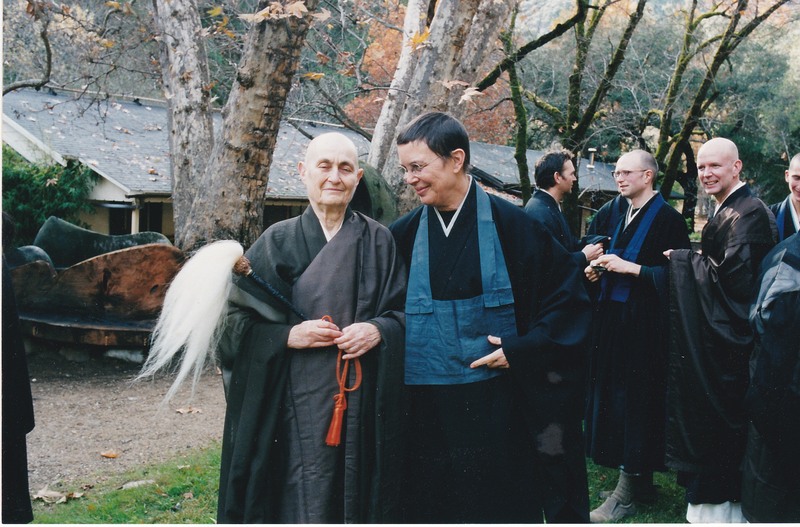 At the end of the Fall 2001 practice period at Tassajara with Renshin Bunce, in the background are Dennis O’Reilly, Lantz Warrick and Tanto Myo Lahey. 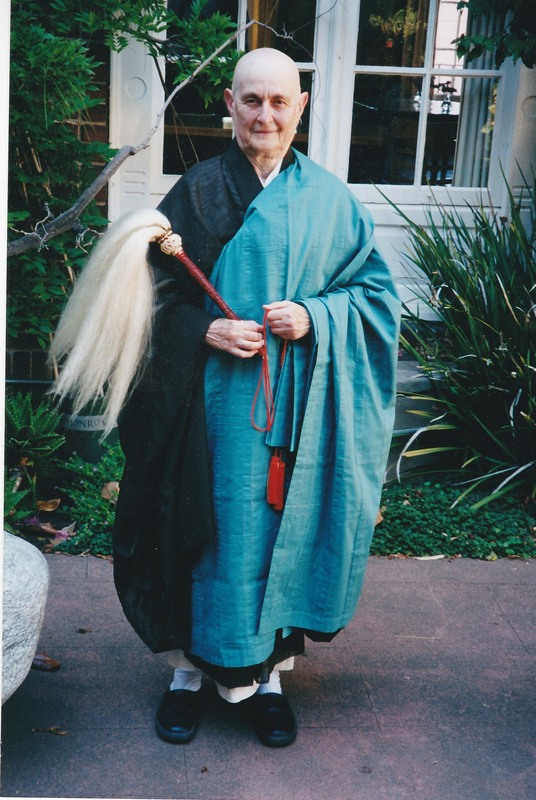 Blanche at the end of the Women in Buddhism conference held at City Center in 1999 or 2000. 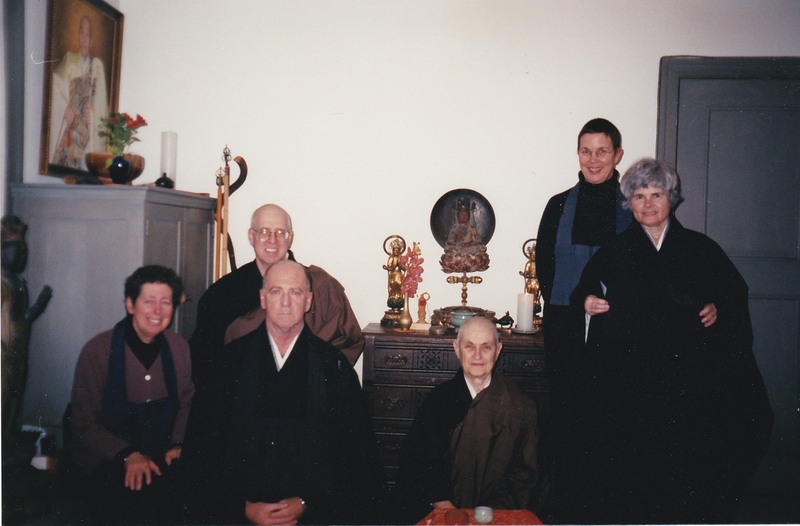 This was one of Lou’s favorite pictures, as it showed both the formality and the relaxation of our practice. This entry was posted in Memories, Photos and tagged Blanche and Lou, Memory, Photos by Daigan Gaither. Bookmark the permalink. 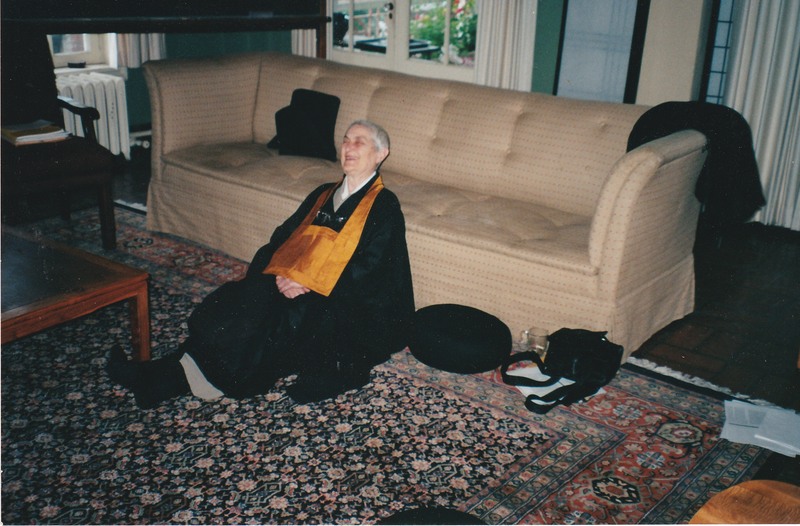 Resident Priest at San Francisco Zen Center. Friend to Zenkei Blanche Hartman and her family.